Susan Pascoe AM has been appointed as independent Chair of the Australian Principal Certification Advisory Board, which is managed by Principals Australia Institute (PAI). As Chair, she will work closely with Australian Principal Certification Advisory Board, which will also include current school leaders and individuals with regulatory experience outside education, to implement and oversee Australian Principal Certification to ensure it has the integrity to lift the quality of educational leadership in Australia. Australian Principal Certification recognises the role of principals in improving the quality of learning and teaching in schools. The Australian Professional Standard for Principals (Australian Principal Standard) sets out what principals are expected to know, understand and do to achieve the highest standard of school leadership. Principal Certification is a formal endorsement that an experienced, practising principal has attained a designated standard of accomplished practice in accordance with profession-developed requirements and the Australian Principal Standard. “I’m looking forward to the opportunity of elevating the profession of school principals through Australian Principal Certification. Certification will offer education systems and the community the confidence that school leaders and principals are able to demonstrate the leadership required for schools in our fast-changing world,” Pascoe said. Susan Pascoe brings decades of experience to this new role. Currently the inaugural Commissioner for the Australian Charities and Not-for-profits Commission, she has also been a Commissioner at the State Services Authority in Victoria, and one of three Commissioners who served on the 2009 Victorian Bushfires Royal Commission. She has also previously held the roles of President of the Australian College of Educators (of which she is a Life Member), Chief Executive Officer of the Victorian Curriculum and Assessment Authority and Chief Executive of the Catholic Education Commission of Victoria. 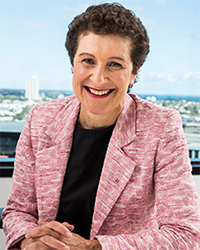 In 2007 she was appointed Member of the Order of Australia for service to education through a range of executive roles, and in November last year was awarded the 2016 Leadership in Government award for outstanding contribution to public administration, presented by Chartered Accountants Australia and New Zealand. PAI initiated development of Australian Principal Certification in 2012, designing a national framework for certification of principals. This year, the first cohort of school leaders who have undertaken certification will be recognised as Certified Practising Principals.